We set our aim on one of the biggest enemies of productivity - busy work. The newest addition to the ActiveCollab feature set enables you to duplicate your existing project templates and avoid making new templates from scratch. The number of processes that are repetitive and require some sort of periodic maintenance is staggering, and this comes as no surprise to many business owners. If we started counting every recurring activity we might be stuck here for hours. But we know that all of you who are planning and doing the Real Work in ActiveCollab don’t want to be stuck for hours doing something that should normally be done in a couple of minutes. Our goal with the Project Template feature was to help you automate at least a part of this busy work. A project for a live event you have in San Francisco requires various tasks that are different from a similar project you already had for New York. It would be great to duplicate this template in order to have some sort of structure built out for any new events in other locations. The Quicker the Setup - the Better! You’re running an agency with 30 clients on your retainer. Even though you’re running similar projects for a lot of different clients, there are always slight differences that require a different pre-defined professional template. Sometimes two campaigns are very similar or have different time schedules. Being able to copy a project template would save you a lot of time during setup. Your teams and clients are located in different parts of the country, continent, or even across the globe. In this case, it’s extremely helpful to have different project templates that are very similar, but still uniquely relevant to the cultural context or the market where you’re operating. The battle against busy work is ongoing. 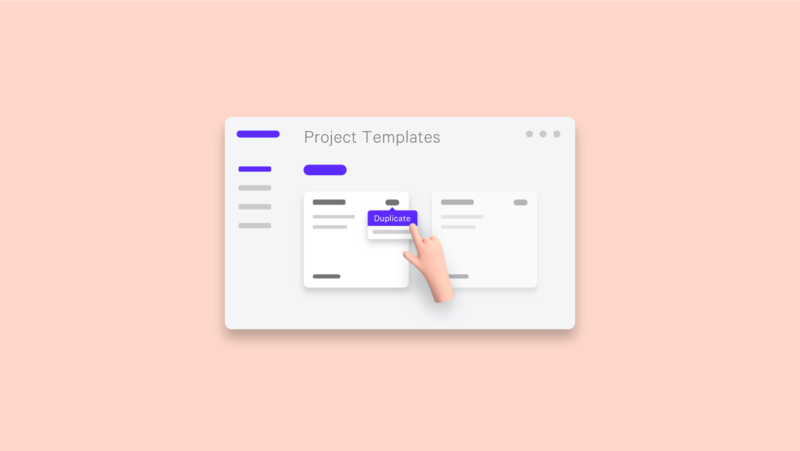 Project Templates are now a mighty sidekick. Let us know how they fit into your workflow!